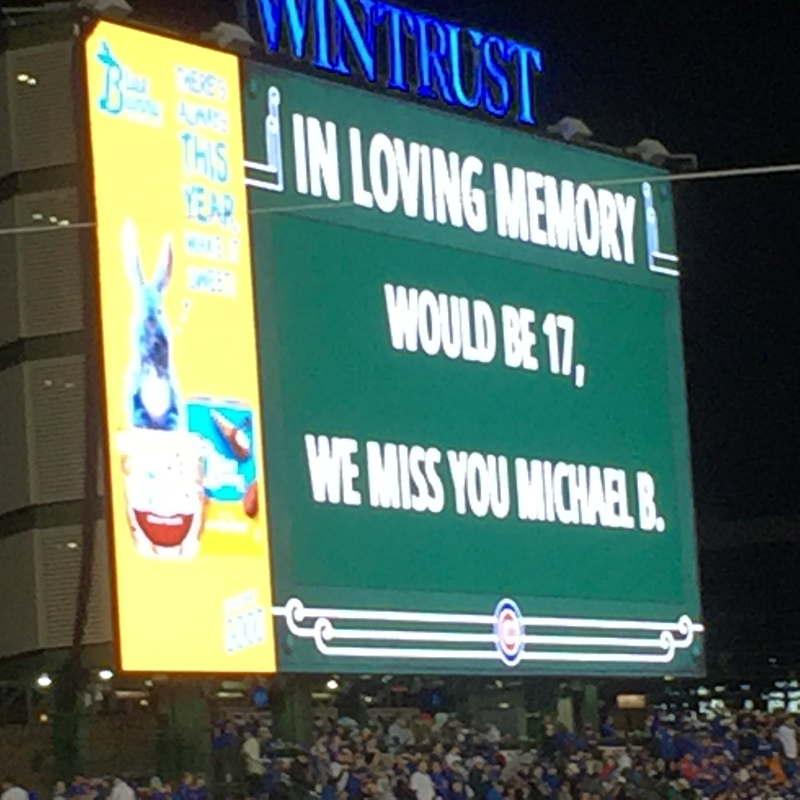 This entry was posted in Uncategorized and tagged Chicago Cubs, Postseason Baseball, Ravi Baichwal ABC7 by just1mike. Bookmark the permalink. Love You Michael – Very deserving – very well done. Reblogged this on Kevin J. Gaffney. Thank you Kevin and enjoyed seeing your blog! 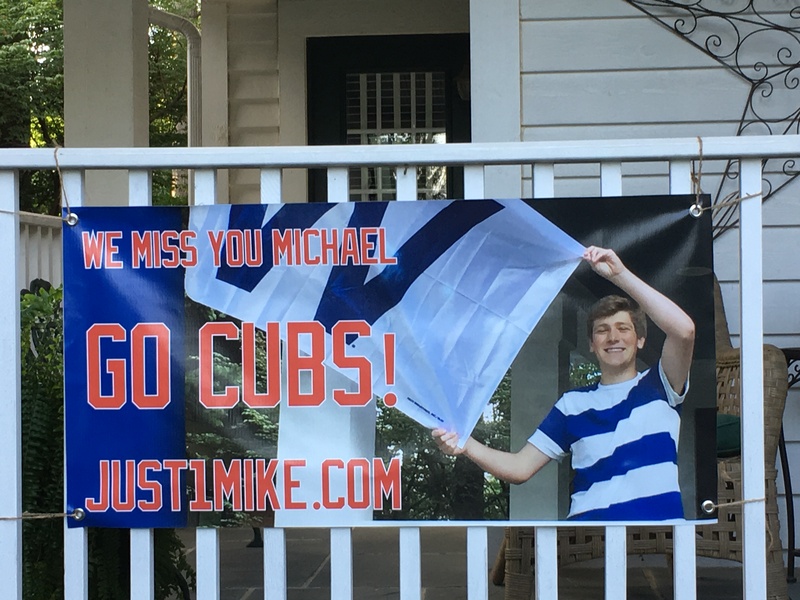 When I hear or read, “Go Cubs, Go!” it’s your sweet Michael who always comes to mind. Without a doubt he’s cheering alongside you. What a wonderful blog post! Go Cubs, GO! Definitely an Angel in the outfield. Happy Birthday Michael. You are loved and missed. Go Cubs Go!